Tommy Gene Hall, 69, of Manila, died Thursday, Aug. 2, 2018, at St. Bernards Medical Center in Jonesboro. Born in Michigan, he was the son of the late Don Wesley Hall and Ruby Smith Hall Stone and had lived most of his life in Manila. Tommy attended Manila High School and was a retired self employed carpenter. 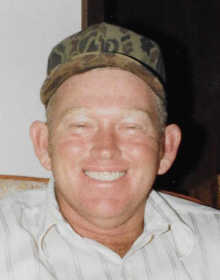 He enjoyed hunting and fishing with family and friends. He is survived by one daughter, Jamie Wilhoite of Manila; four grandchildren, Joe Helton, Jordan Helton, Jake Helton, and Jillian Helton; and two great-grandchildren, Dallas Helton and Ryleigh Jo Helton. He also leaves his sister, Debbie Hall, of Manila. Funeral service will be held at 1 p.m. Saturday, Aug. 4, in the Howard Funeral Service Chapel in Manila. The family will receive visitors Saturday from noon until service time. Honorary pallbearers include James Rountree, Mikey Rountree, Josh McQueen, Josh Miles, Chris Meacham and Larry Stone. Final disposition was private.